Immediately after surfacing, divers must swim directly to the nearest ladder and exit the pool. The walls directly under the dive tower and springboards must be clear of swimmers at all times. Swimming is not permitted when the boards and towers are in use. This is on a case-by-case basis in conjunction with the Aquatics Manager and Sport Services Team. 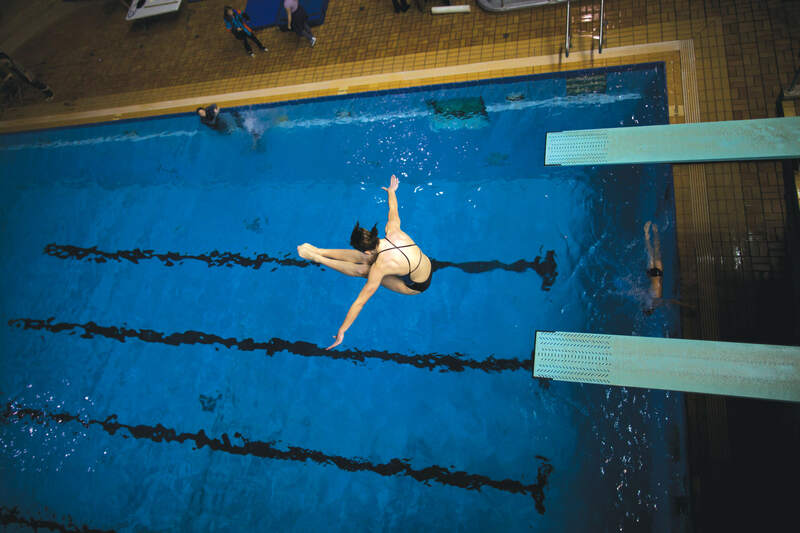 The 7m and 10m Diving Platforms can only be accessed through specific coaching with one of our Sport Partners or through a Commercial Booking of the space. Swimmers wearing lifejackets or any floatation devices are not permitted on the dive tower. The 7.5 and 10-meter diving boards are closed to everyone under 16 years of age unless supervised by a certified diving coach. Only one public user is permitted on the dive tower at a time. Running off dive tower is not permitted. Swimmers wearing lifejackets or any floatation devices are not permitted on springboards. Only one bounce is permitted on the springboards unless supervised by a certified diving coach. Recreational users will have access to the springboards during public dive tank hours.